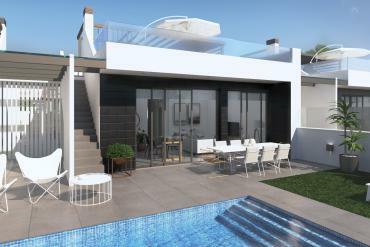 To buy villas in Los Alcazares - Murcia it is necessary to trust in a real estate agency that will help you acclimatize in the area, through a quality property. Casas Espania offers you its real estate services so that you can achieve the greatest possible wellness on the Costa Calida. Our real estate agency has a technical and qualified team of agents that will help you at all times, both before and after the purchase. In this way, you can feel protected by professionals who leave you in no time. The objective of our company is none other than to make our customers feel satisfied. That is our greatest benefit. 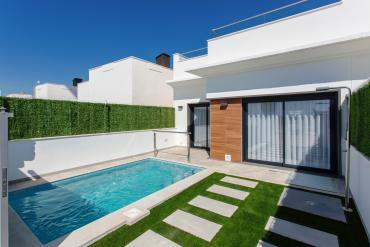 When a client, especially if he is not Spanish, decides to buy a property in Spain, the first days tend to be of doubt and little adaptation. In Casas Espania we work so that when the client first touches Spanish soil, his only thought is that of enjoyment and pleasure. 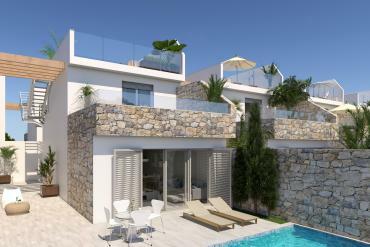 What do you have to do to buy villas in Los Alcazares - Murcia? 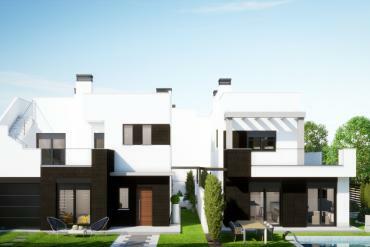 To buy villas in Los Alcazares - Murcia, all you have to do is trust Casas Espania Real Estate. In our web catalog you have an extensive list of properties on the Costa Calida so you can buy the one that most captures your attention. 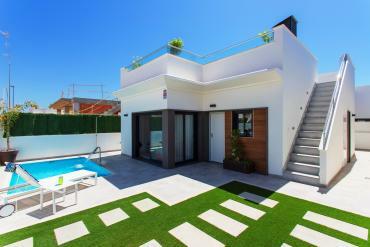 There are many advantages to bet on our villas for sale in Los Alcazares. 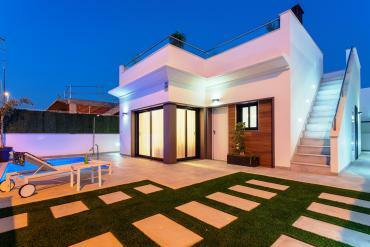 Enter our website and start imagining yourself living in one of them. 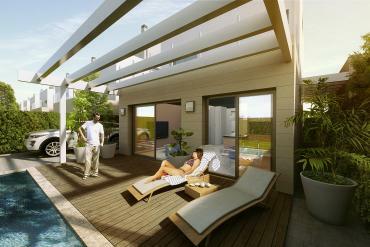 Come to Casas Espania, meet our real estate agents and decide for us to buy villas in Los Alcazares - Murcia. We have several contact possibilities for you to start living unique experiences in Spain.